This is a follow-up to my last post about a misdiagnosed hernia which is actually an inflamed inguinal tendon. 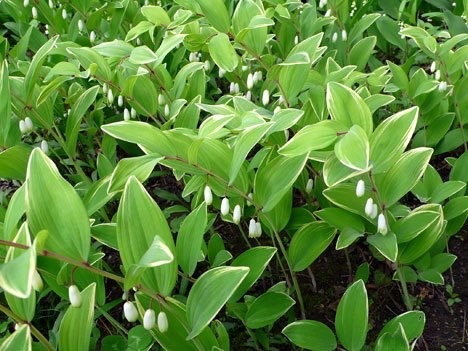 After two weeks of daily 20-minute poultices of comfrey leaf mixed with bentonite clay, the inflammation continued to decrease–and then decreased to almost nothing with the addition of one simple plant, Solomon Seal. Steamboat Springs is blessed to have a bright and experienced midwife, Suzanne Tully, who opened a great store here called Aspen Botanicals. When I stopped by to chat about this inflammation, she wisely suggested adding Solomon Seal since it is a specific remedy for helping tendons heal. I am impressed with how this inexpensive addition is speeding the healing. Having someone like Suzanne in your corner is exactly what I refer to on page 153 of Take Back Your Body when I suggest you create your own health team. Since not everyone has access to a trained herbalist or top-quality herbal remedies, I wanted you to have access to her website for the next time a physician tells you that “surgery is the only solution”.